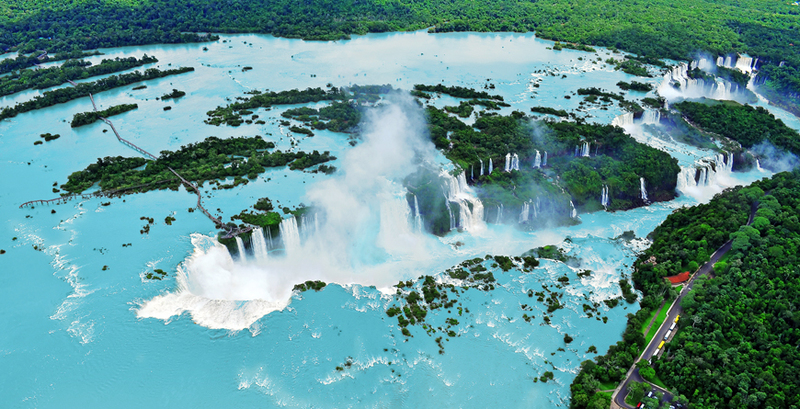 The spectacular Iguazú Falls- Foz do Iguaçu in Portuguese, and Cataratas del Iguazú in Spanish, straddle the Argentine - Brazil border and are, not surprisingly, a UNESCO World Natural Heritage Site. 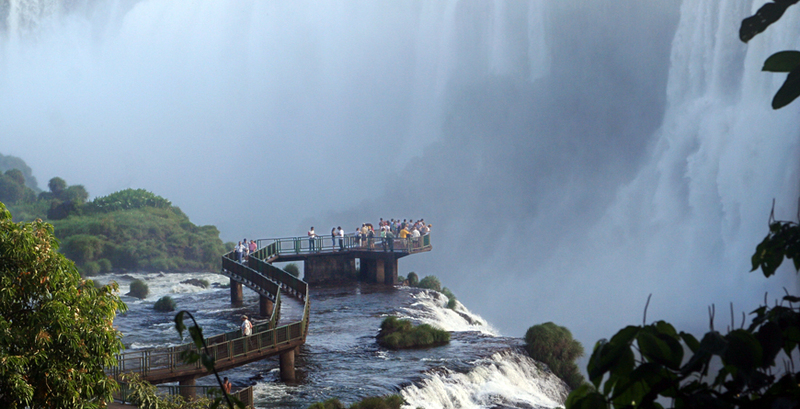 Facts and figures abound, but nothing prepares you for the jaw-dropping sight of these thundering falls which are both higher and wider than the perhaps more famous Niagara falls. The setting itself, amidst practically virgin rainforest, shouldn’t be overlooked and really, you need a couple of days here to do justice to it all. 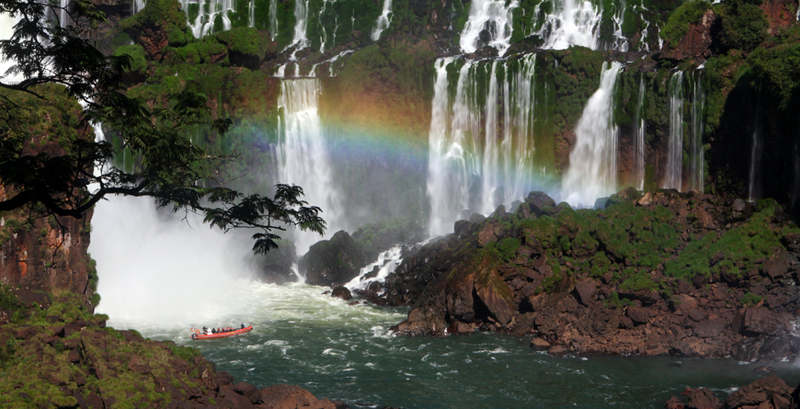 For unbeatable views of the falls, and an adrenalin-fuelled boat ride (expect to get drenched) head to the Brazilian side. The highlight is surely the appropriately named ‘Devil’s Gorge’, which comprises a series of 14 falls, where the force of the water is such that there is a permanent 100ft water spray, prompting some incredible rainbows. 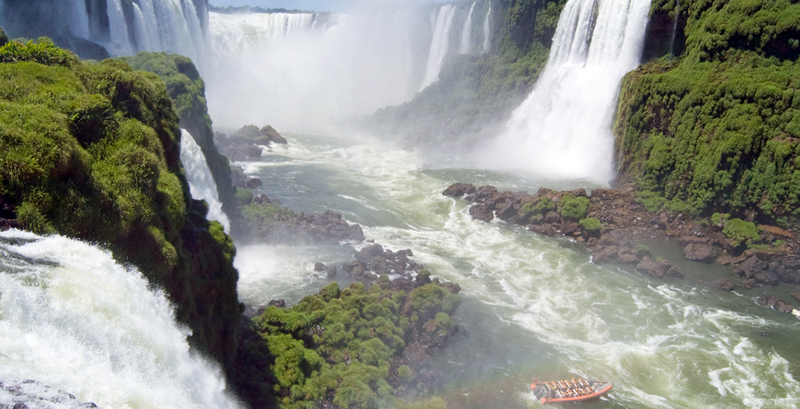 From the Argentine side don’t miss the opportunity to walk the series of catwalks over the water rushing into Devil's Gorge. 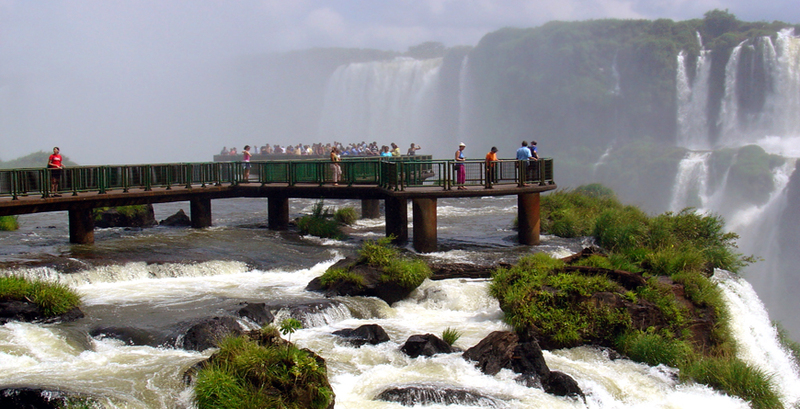 There is a beautiful view from a watchtower that is located in the Hito Argentino (Argentine milestone), right in the confluence of the Iguazú and Paraná rivers. Locally there are plenty of opportunities for adventure and eco-tourism; bird watching, horse-riding, hiking, Zodiac boat rides, visits to indigenous Guaraní settlements, golf, bike rental and much more.